Poised, confident, lyrical and talented are just a few words that describe Exile Di Brave. This Jamaican Reggae artiste born Clayton Johnson, hails from the sunshine city of Portmore and is on a mission in music to entertain and uplift. Organically bred and grown on Reggae, Dancehall and Hip Hop music Exile Di Brave first started out doing Hip Hop while going to college in 2003. He soon found out that as he became seasoned in honing his musical style and competence, he was being usurped by the inevitable melodies of Reggae. With bubbling enthusiasm and interactive performance, Exile Di Brave has captivated audiences on shows such as ‘Westmoreland Curry Festival’, ‘Spectrum’ ‘Conscious Reggae Party’ and ‘Bob Marley Festival’ in Negril. Exile is also the director of the weekly event called ‘Vinyl Thursdays’ which promotes live roots music, plays only vinyl and streams online. This charismatic artiste is serious about his music and has so far toured the UK, Europe, South and Central America. His energetic performances are steadily growing and gained great attention of supporters locally and globally. 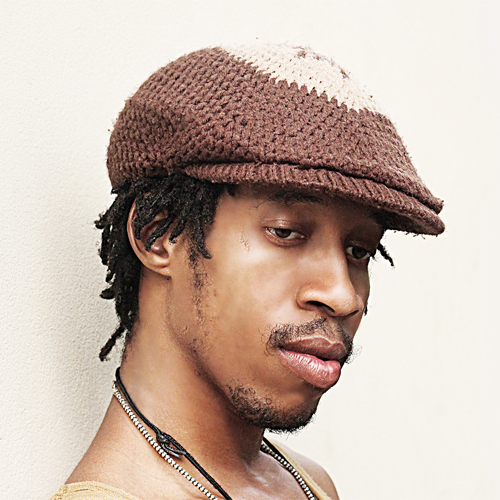 Using social commentary and personal related contents to bring out his messages, he has recorded songs such as “Voice of the Young”, “If This Is Love”, “Hungry” and “Rasta Party”. This multi-talented singer currently operates EDB Entertainment and has already released three albums, “The Calling” (2013), “The Journey Begins” (2015) and “To The Foundation” (2016). Exile Di Brave continues to evolve, this lead to his roles in movies, documentaries and short films such as “Rock Dem” (2016). Exile Di Brave has one thing in mind – To face the music with confidence and courage. He believes with the right attitude and message he will be able to inspire the world one verse at a time. Reggae has chosen him, he didn’t choose it, and with that conviction he continues to master his mental, intellectual and musical craft. Focused and fiery, he is lyrically courageous as well as cultural. Loving what he does best: Music. The world will see more from this raw talent, a diamond in the dust, he’s a force to reckon with. We present to the world in a powerful package, EXILE DI BRAVE.